What that essentially means is that Caveria is able to line up perfect headshots against people who might be looking directly towards her, but aren’t actually able to see her. You can check that out for yourself in the video below. Assuming this is unintentional, it’s a somewhat troubling bug. As Get_Flanked points out, however, the reason it’s potentially gone unnoticed until now is that Silent Step is traditionally used to move around the map and sneak up on people from behind, not help hold an angle, so it’s likely this particular interaction happens relatively rarely. 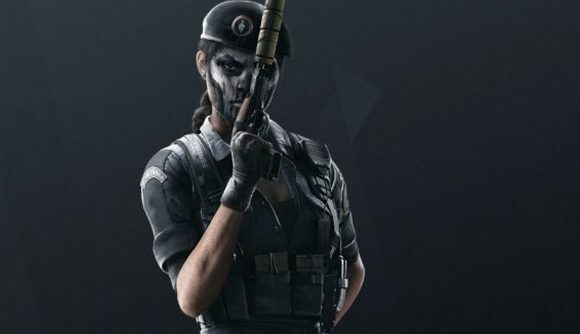 We reached out to Ubisoft about the bug, and were told that “this is an exploit that [has been] in the game since the launch of Caveira but has been discovered recently.” Ubi also says that the development team is investigating the issue and “will have a fix in a patch to come.” For now though, I’d be extra careful when facing off against a Caveira.